Internet and intranet technologies offer tremendous opportunities to bring learning into the mainstream of business. 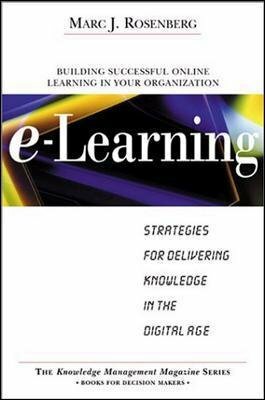 E-Learning outlines how to develop an organization-wide learning strategy based on cutting-edge technologies and explains the dramatic strategic, organizational, and technology issues involved. Marc J. Rosenberg, Ph.D. (Hillsborough, NJ) is an independent consultant specializing in knowledge management, e-learning strategy and the reinvention of training. Prior to this, he was a senior direction and kowledge management field leader for consulting firm DiamondCluster International.